We invite you to a weekend workshop with Vanessa Gilgoff, the daughter of the legendary Nancy Gilgoff. 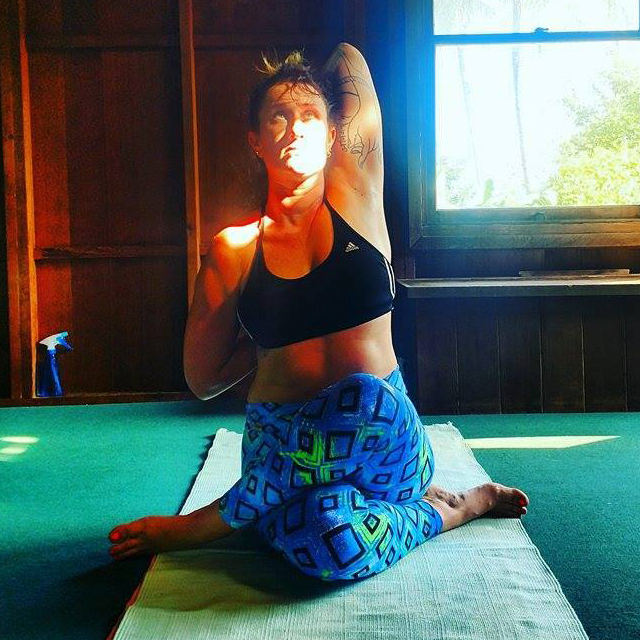 Born and raised on the island of Maui, Hawaii, all her life surrounded by people loving Ashtanga, Vanessa started her yoga adventure practically in the womb! Today teaches exactly the same way her mother, Nancy taught the legendary Pattabhi Jois in 1973. Growing up in his continuous presence, Vanessa spent her whole life treating Guruji as her grandfather. After many visits to Mysora, the entire Jois family became close to her. Vanessa permanently devoted herself to Ashtanga practice 10 years ago. He has taught for over six years, traveling the world with his mother, Nancy Gilgoff, sharing his experience and his sense of humor. For two years Vanessa has been conducting regular classes on the island of Maui, Hawaii. Although her passion is serious, her activities are filled with laughter and good fun.